View our dining special offers and events below. We have a full range of events this coming festive season, from private dining in the run up to Christmas, a full board break to stay over Christmas itself, a great fun New Year’s Eve celebration with a residential package plus a grand Christmas Day lunch service. –Christmas Dining. Celebrate with friends or colleagues in the run up to Christmas with a refined meal in our 2 AA Rosette awarded restaurant. Private dining for up to 20 people may be available (Room hire charges may apply). –Christmas Day Lunch and New Years Eve. We have limited spaces to join these two occasions so don’t delay to enquire of our availability. 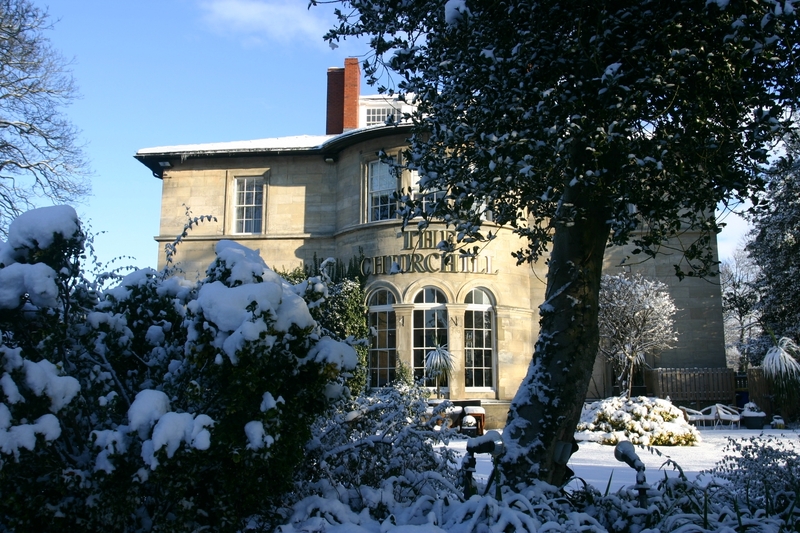 Our restaurant is open throughout the festive period with just two exceptions; on Christmas Day evening and New Year’s Eve we are not able to take normal restaurant tables as we are offering other events for residents and pre-booked ticket holders.